Welcome back to another great link party! We’ve got an exciting giveaway going today, not just for bloggers, so be sure to scroll down and keep reading! I also tried out a recipe for homemade chalk paint and made a few personal adjustments to the recipe. I then compared it to Annie Sloan. Feel free to stop by and weigh in on your opinion! Last week was our biggest link party yet, with 92! I would love to fly past 100, so please tell your friends! As usual, one lucky, random link party goer will be chosen as our weekly ad space winner. Also, all the features will be pinned, and I try to post some throughout the week on FB and G+! We had another awesome link party last week filled with so much inspiration. 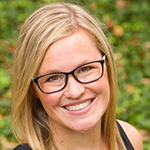 Here were a few of my faves: Ann from On Sutton Place is one classy (and really sweet) lady and she shares some amazing projects and recipes. 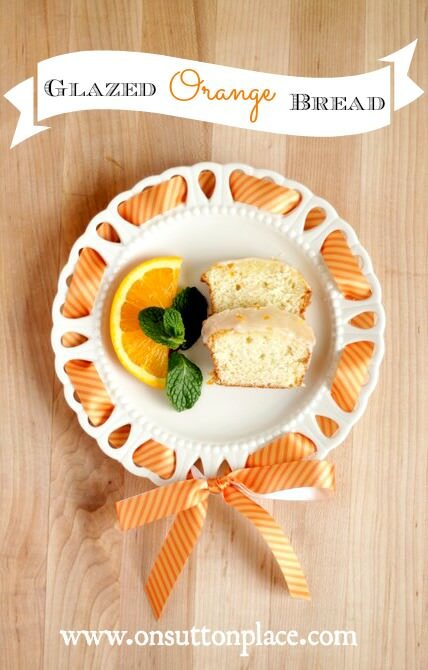 This past week she linked up her Glazed Orange Bread recipe. I had to stop looking at it because it makes me want to drive to the closest bakery and eat every yummy carb in sight! I am pretty new to sewing so imagine my surprise when I saw this tutorial from Sarah at Just the Bee’s Knees teaching how to sew a blind hem. SAY WHAT?! I really didn’t think that was possible (except from the pros). She makes it look so easy, too. Danielle from 2 Little SuperHeroes shares her tutorial on how to change bi-fold doors into french doors. That is crazy cool and classy, Danielle! Jacque from the DIY Village (and her other half, Matt) do some of the coolest and most creative projects out there, plus they are legit nice people! This reverse stenciled coffee table (once her grandparent’s) is no exception – thanks for sharing, Jacque! 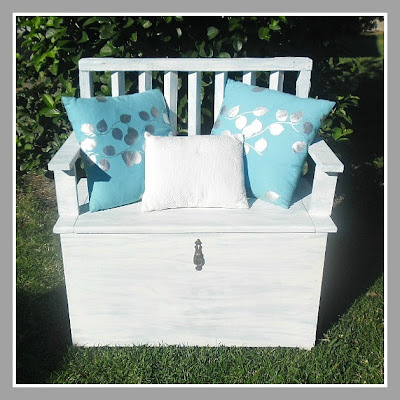 I think I’m a bit on a furniture kick with all my upcoming furniture projects, but I am diggin’ this blanket box/bench that Linda from With A Blast created with a little help from an old wooden gate! Who doesn’t love a good yard sale turned masterpiece? Check out what Sheila from Plum Doodles did with an ugly rooster lamp and wicker basket. So creative! Last but certainly not least, Christina from the DIY Dreamer schooled me in the world of printable clings! Have you ever heard of these. She turned these salad dressing dispensers into something unique and pretty. If you didn’t already know, every week we feature one lucky party participant in our sidebar as the Weekly Brag. Think of it as our way of saying thanks for linking up, and we hope you come back every Friday. To play fair, we always use random.org to select the winner. Out of 92 linked up projects, number 78 was chosen – Pam from Patriotic Pam! 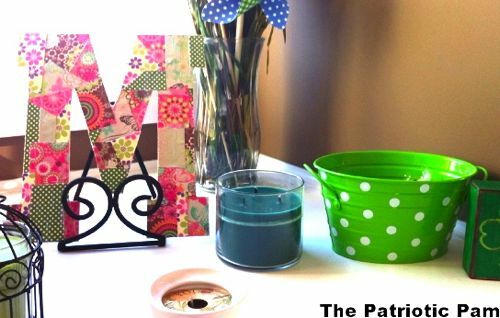 Pam shared her super cute, eclectic Mod Podge Monogram, and you know I love Mod Podge! We have got to finish landscaping the back yard! Oh WOW!!! 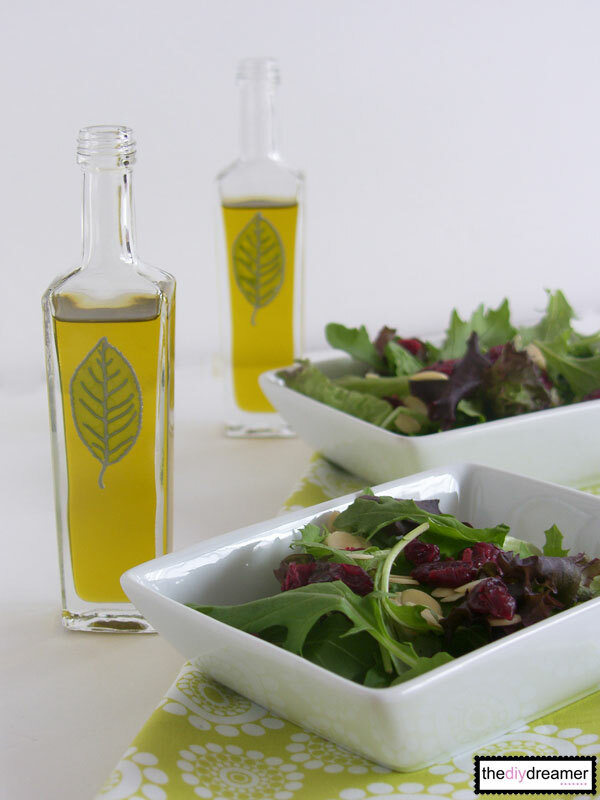 Thanks so much for featuring my Salad Dressing Dispensers!!! Spring Project: Get cracking on updating Emanuelle’s bedroom furniture. I have a bajillion things on my DIY list for Spring! But most notable are building a new craft desk, and a fake mantel shelf so I can actually put my Spring decor somewhere! Thank so much for the party ladies! We’ve got quite a few DIY projects planned for our backyard and I can’t wait for the weather to get just a tad bit warmer so we can get out there! Thanks so much for featuring my lamp, Jocie. And thanks for hosting, have a wonderful weekend! My DIY this spring is to set up a gardening area in the backyard! This spring I have to sew some new dress for my daughter (and maybe some for me and I have to prepare my new sewing room! What a great idea for a give away! Party time!!! Yes yes!! Great way to start my friday! I love your link parties! So many great ideas. Thanks for hosting. Headed to pin tone of projects! Ohh… Spring means… Plant my garden- why yes it does!! This page always makes me hungry to look at. So many great recipes. Keep the great ideas coming! I want to make pillows for the rocking chairs on my front porch! Thank you for hosting have a great weekend! Thanks for hosting! It’s fun to see all these wonderful ideas and projects. no spring plans other than surviving triplets!! Ah…I just saw I was featured as the #1 brag. Thanks for the feature.